Rivers Locking Systems robust fully welded steel RHS Anti-ram Barriers are custom made to suit the application and area that is in need of protection. Anti-ram devices are available in a variety of arrangements. They include, but are not limited to, bollards, single swing gates, double swing gates, single and double swing collapsible gates, fixed barriers, single sliders and double sliders. 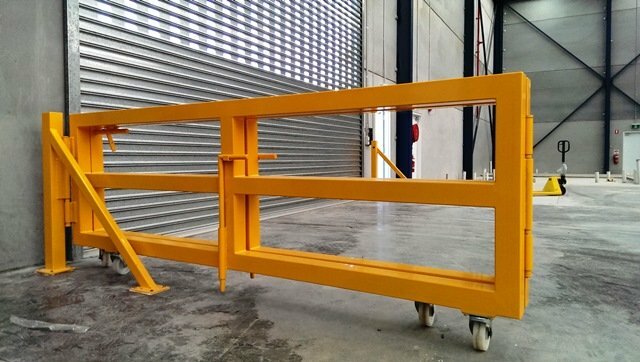 If specified all operable anti-ram barriers have the option of being remotely controlled. 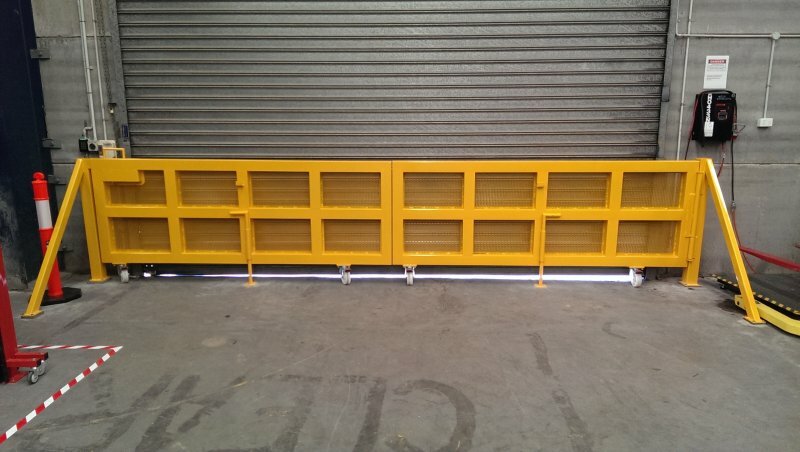 Where Anti-ram Barriers are used to limit access to roller shutters, the barrier frame incorporates anti-lift bars with protruding ‘toes’ to prevent the shutter from being forced upwards. 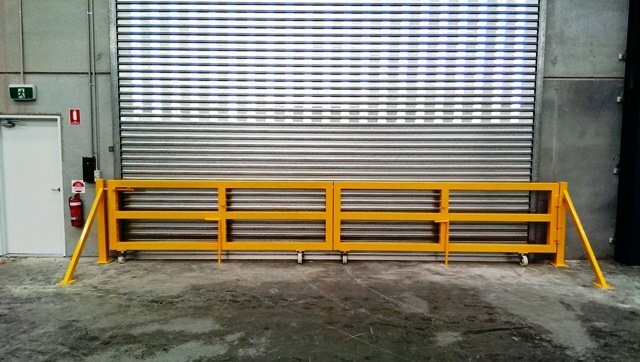 Rivers Anti-ram Barriers are used in government buildings, major retail stores, warehouses & distribution centres, loading docks and showrooms. Rivers Anti-ram devices are ideal for any situation that may be a target for ram raids. 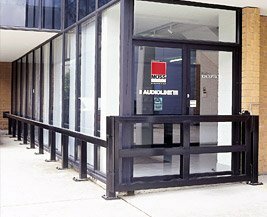 Hardware supplied with a Rivers Anti-ram Barrier varies depending on its configuration. Swing gate hardware includes heavy duty ball bearing hinges, jockey wheels & lockable bolts. Top & bottom track complete with guides & rollers is hardware specific to sliding gates. It is recommended that any externally located Anti-ram Barrier is hot dip galvanised. Internal barriers may be grey primed. Durable polyester powder coat can be applied in any standard Dulux colour upon request. Special colours are available. Rivers anti-ram barriers are generally securely bolted to a concrete slab or structural wall. Alternatively, posts may be cemented into the ground. Rivers can provide experienced installers to correctly fit Anti-ram Barriers ensuring security and reliable service. Refer to sales staff in relation to installation.